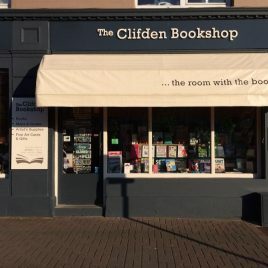 Clifden Book Shop, situated on Main Street in Clifden, capital of Connemara, opened its doors in December 1997. It was set up to cater for a niche market of visiting tourists and a broad range of local customers who have continued to be loyal and steadfast in supporting their local bookshop. There is a comprehensive range of titles in store with particular emphasis on local Connemara history, Irish Literature, guide books, maps and memoirs. There is also a wide selection of Artist’s materials, Cards and Stationery in stock at all times.